Van Sciver's art continues to impress. In Saint Cole he knows when to keep things open and when to get them inky. The fluidity of his lines add to the tone he's working on. That smell that I mentioned at the start of this review? It emanates as much from Van Sciver's cartooning as it does from the story he is telling. 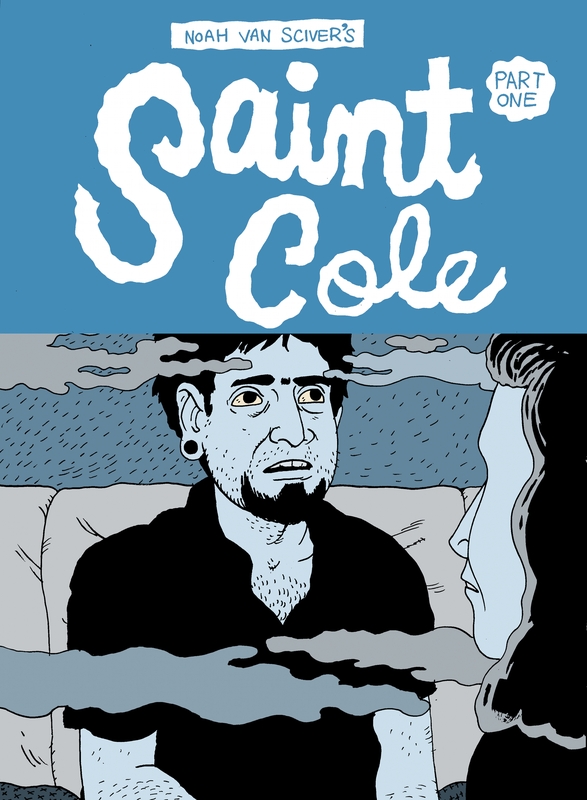 Reading Saint Cole is sort of like being a heavy smoker and running a marathon. Just when you think you have passed that point where it can't get any worse... it does. With head tilts. This is just about the most brutal thing Van Sciver has created so far. It seems to come from a place of hopelessness and despair – as if Van Sciver is not only incapable of bringing joy to the world, he revels in enveloping himself in the thickness of defeat. And yet I find myself drawn to Saint Cole. At some point I have to ask myself to what end is this kind of abuse? What pleasure do I take from this schadenfreude? What greater truth about human nature does this bleakness engender? What kind of man am I that I find myself drawn again and again to Van Sciver's work? Perhaps the answer to this final question is the point of his art. Instead of pointing the finger at others, perhaps it is time I start pointing it at myself. Van Sciver has been running Saint Cole on his website, The Expositor, along with Joseph Remnant's Cartoon Clouds, for a few months now, but Kilgore Books has recently published the first 40 pages as a floppy (and they've only printed up 250 so get yours now). You can pick up your copy here.